When you go online, the nature of your website gives a clear idea about your company’s goals and ethics. A good website with attractive features is capable of increasing your customer base and a bad one can easily destroy your company’s goodwill. Hence, You must always make sure that your website must have all the ingredients that make your website highly responsive. The greatest challenge in web development is to strike the right chord with the target audience! 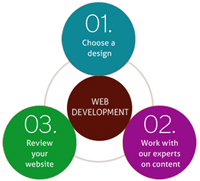 Pcpatchers Technology is a web development company offering custom web development services and web app development and deploys latest web development technology to provide the entire range of web-based solutions: from ecommerce functionality and password-protected corporate web portals, to a simple websites. We can deal with every aspect of your online business needs, reducing costs and increasing efficiency. PcPatchers Technology is a provider of range of web development services and it believes in building scalable E-business solutions using the latest cutting edge web development technologies with full range of web skills and services in-house from web development consultancy to ongoing maintenance and website development-we are one point of contact to call to build a fully web services. Our developers are a mix of designers and back-end developers. 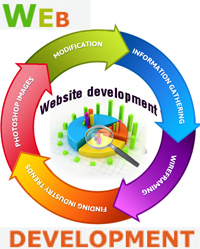 They are responsible for turning designs into a website, user interface and customized web services. No compromise on quality of website. We’re quick to response to the clients need. Delivering web development services and solutions right for your business. 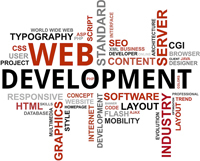 No worrying as we have an expert web development team. Standard methodology to work and develop website.